IAN DOBSON'S STEEL DRUM PARTY!!!! Ian attended Oberlin Conservatory of Music and began playing steel drum music in 1995. Ian Dobson's Pan Leggo offers fabulous party activities centered on dancing and singing, and a wide repertoire of world music styles. 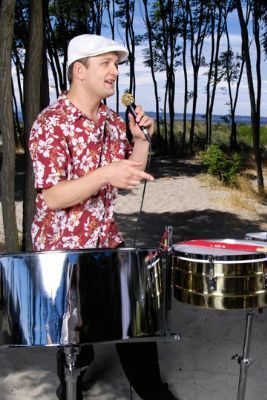 When he's not bringing his 'steel drum party' to various private events you may find him playing at the Bahama Breeze restaurant in Tukwila Washington or pursuing one of countless other musical pursuits. Come check him out! Please contact us for our web site address. There you will find a schedule of Ian's upcoming performances. At your request he can even involve your guests and give them a terrific time with dance lessons and sing-alongs and percussion play-alongs and more. Are you afraid that it's going to be hard to choose a musical group all your guests will like? 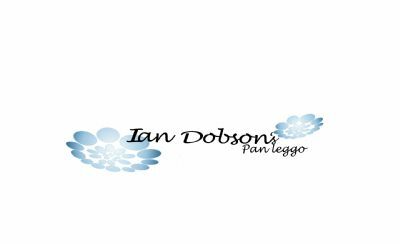 Look no further: Ian Dobson's Pan Leggo offers a proven solution. Steel drum music is universally adored. Better yet, with his wealth of musical background, extensive overseas experience and fluency in Spanish and Portuguese, Ian will forge musical bonds among guests of all cultures and ages so that everyone has a blast. Ian is versatile enough to play many musical roles and styles, from calypso to salsa and reggae; jazz and rock to classical. And, unlike most acts, Ian Dobson's Pan Leggo can easily expand it's size and instrumentation to fit your event: from a solo to a thrilling expanded group of seven or more musicians. Ian was not only on time, he was early! He came in, was very courteous and professional, set everything up on time and started playing a few minutes early. He worked with me (the groom) on exactly what to play for the processional when my bride walked in, and then a signal for when to start playing the recessional. Worked perfectly. He was great, guests enjoyed it, he took a request from the obligatory drunk cousin demanding an encore of "Red Red Wine" with aplomb. He played an extra few minutes, and handled the load-out on his own with no complications. In short- 5 star service all around. Would give 6 stars if I could. Ian was very professional. After we had to do a last minute change to show location and therefore how our event was going to be run, he was willing to take on a much more interactive role with the audience. He put on a great performance and got the audience involved for a fun afternoon for everybody. He did a great job and created a very fun atmosphere for our event! Ian was wonderful! He provided a spirited performance with a wonderful island vibe. His steel drum playing and singer was perfect for our laid back atmosphere, and he was accomdating to guest requests during the evening. He even played a little longer than scheduled for some kids that were dancing to his music. That was nice to see him go above and beyond for their enjoyment. I would definately recommend him for any island or luau themed party in the future, and would hire him again for entertainment. Thanks to Ian all of our guests had an awesome experience. 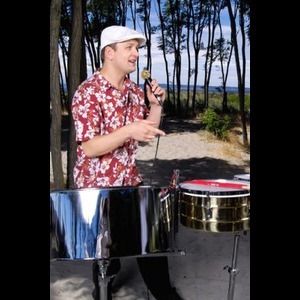 I would recommend him highly to anyone looking to hire a steel drum band to play at their private home event. He arrived right on time and was interactive with our guests, which was a real plus. Everyone at our party was truely entertained by the band. It was a great experience for us and we hope to find another excuse to party with them soon! Ian was wonderful. He even sang about doctors and nurses and Providence. We thoroughly enjoyed him and can't wait to have him back again! Ian was a great & talented sport! Our picnic was Aug. 18th, we expected hot weather & it was rainy and windy. Ian didn't miss a beat and performed as if we had perfect conditions. A great time was had by all! Ian presented a wonderful performance. The kids loved it and so did the adults! His act was high-energy and very interactive. Everyone had a fabulous time. The age range of the children was 3-12 years. Please note Ian Dobson will also travel to Bainbridge Island, Bellevue, Kirkland, Mercer Island, Port Gamble, Suquamish, Edmonds, Bothell, Mountlake Terrace, Bremerton, Kingston, Lynnwood, Poulsbo, Redmond, Everett, Port Orchard, Renton, Indianola, Silverdale, Woodinville, Keyport, Vashon, Issaquah, Olalla, Rollingbay, Snohomish, Hansville, Kent, Mukilteo, Seabeck.